Deconstructed Piano ist eine Sammlung an Sounds, Geräuschen und Texturen, entstanden aus einem Piano. Die Library besticht durch ihre Vielseitigkeit und wird nicht nur Sounddesigner begeistern. Aufgeteilt in 3 Kategorien: The Piano, Strikes und Textures bietet das "Deconstructed Piano" jede Menge Soundmaterial, das aus eher ungewöhnlichen Spielweisen eines Pianos entstand. Even if the word „Piano“ is included in the Deconstructed Piano, this instrument isn´t quite like anything you would expect as a piano. Explore a familiar sound of a piano in a complete new way. Play textures, strikes, hits and sustained sounds including screws. The variations of this piano are exhausted to the limit. Deconstructed Piano: the name explains itself. Cinematique Instruments have disassembled a piano to its soundboard and have worked on this in many different ways: they have played, hit, stroke and destructed the piano with a wide range of materials. They also used a regular piano hammer, different kinds of mallets such as a felt or a wollen ones, screws, plecs, sticks, thumbs and even straws to coax new inspirational harmonic sounds from the instrument. In order to achieve additional perucussive material, 24 different percussion sounds (recorded in multi round robin variations) were captured which can be easily mixed to the entire piano sound or just be used separately for experimental purposes. Plenty of textures, soundscapes and noises of the piano by scrubbing, hiting or playing the soundboard has been recorded also. 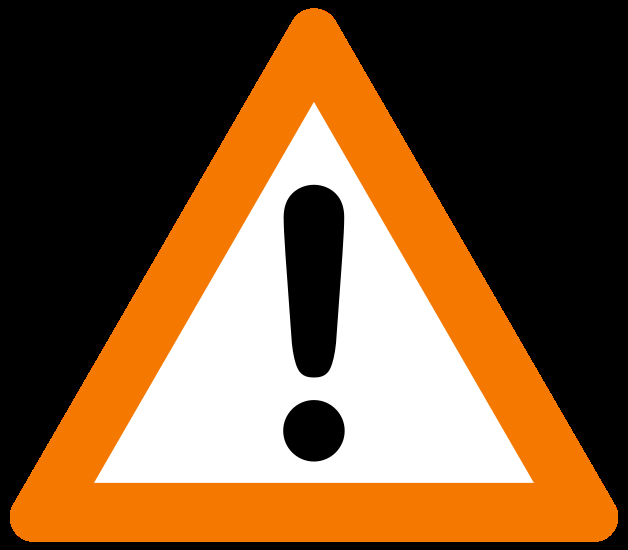 While disassembling the piano all that noises of destruction done with a sledgehammer were recorded and put this into an extra patch as well as in a special categorie inside the textures patch. Explore the sound of a sledgehammer bursting on the piano, a crowbar trying to rip of the strings and even more. All these sounds and noises were sampled to create huge impacts. Finally plenty of soundscapes were collected. This patch is a very useful tool to create evoloving textures with tension. Beside the above mentioned sound options of EQ, reverb, attack, decay, distortuion, this patch provides and automatic volume variation with speed control as well as an „hold“ button for an infnite sound. 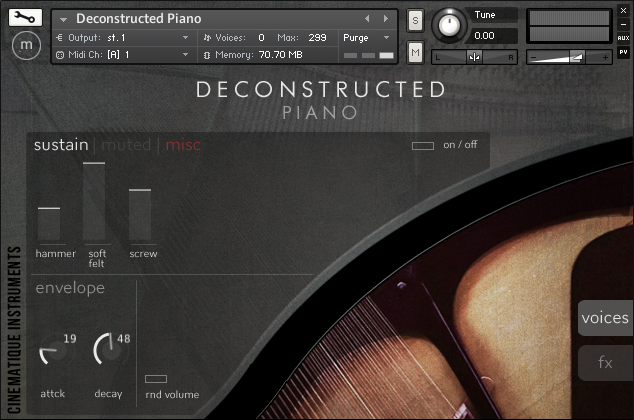 Deconstructed Piano requires the full version of Kontakt 4 or higher.